Self-carriage is often spoken of in many equestrian disciplines and is of great importance for our equine partners. What is self-carriage? Simply put; it means that the horse is able to sustain his position with minimal support from the rider. One of the greatest gifts a rider can give the horse is to stay out of his way. Once the horse gives the rider the correct response, their reward is the release of the pressure. If the pressure returns to the horse, it tells him that he needs to return to where he was or to change his position. It is important to remember that self-carriage is not a position in its self, but the result of the horse’s understanding of the aids for the asked position or movement. There are many training stages in order for the horse to become collected. Self-carriage needs to be at each training stage before advancing to the next. The majority of people think of self-carriage as a horse maintaining a beautiful frame as it moves around the area. Self-carriage should not only be in the position of the horse but in the movements themselves. When performing a shoulder-in, the horse should not only maintain a good frame while doing should-in, but the shoulder-in should be maintained by the horse as well. Just like the rider gives the horse the aids to shorten their frame and to collect themselves, they give the aids for should-in. Once the aids are given, and the horse does what is asked, the rider then lightens the aids and allows the horse to continue with a minimal amount of support. The horse should continue the shoulder-in until the rider gives another aid to change the movement. 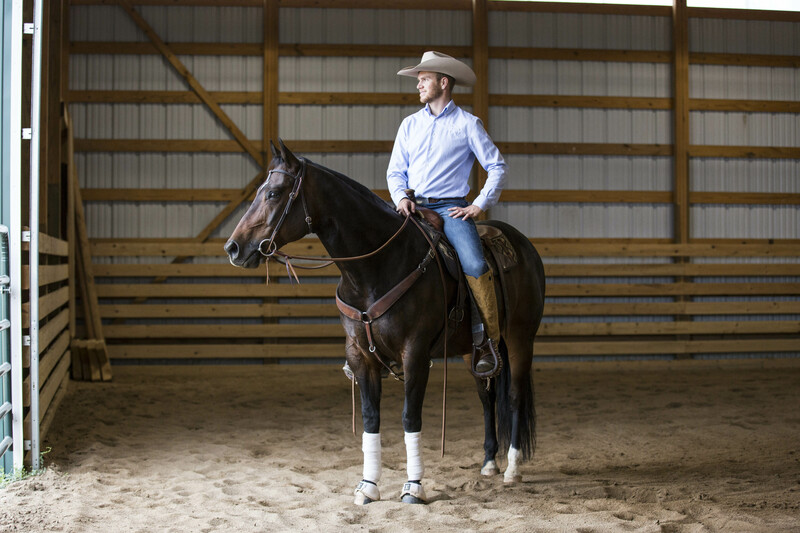 When your horse learns to carry himself in a balanced manner and is responsive to your aids, you will truly be able to sit relaxed on your horse and enjoy the ride! Thank you for visiting my blog. Check in for weekly training tips, tack & product reviews, and to hear about my adventures with my equine partners.